Why should I have my destination wedding in Vermont? This is a question we’re sure plenty of newly engaged couples living around the world have asked themselves. When planning a wedding one of the first questions is going to be, “Where will we have our celebration?” If Vermont has jumped out to you as a place you’d consider, you’re not alone. The sheer beauty of the Green Mountain State is reason enough, but when combined with the local farm-to-table food, gracious hosts at hotels and rustic inns, a tight-knit community of talented wedding vendors, and a relaxed but elegant feel, you may fall head over heels and decide that a Vermont wedding is perfect for you. Vermont, the Green Mountain State, is aptly nicknamed. In the late spring and summer months, the rolling green hills and mountains are visible from nearly every town and village, though in the fall the deciduous trees burst into brilliant jewels of breathtaking color, lighting the hillsides aflame with autumn vibrancy. In recent decades the “Green” could also refer to the fiercely dedicated local Vermonters who are careful to keep the state pristine, with advanced recycling programs and a ban on billboards unique to Vermont, Alaska, Hawaii, and Maine. The billboard ban in Vermont was enacted in 1968, second only to Hawaii. These four states are held up as shining examples of natural beauty, and the lack of income from these landscape marring advertisements is easily offset by the steady stream of tourism dollars throughout the four seasons. Finding world class food in Vermont is as easy as talking to one of the many local caterers, most of whom specialize in using fresh, local ingredients in their menus. In addition to your wedding dinner, your destination guests may enjoy dining at a nearby restaurant. Despite the small population and rural setting, there are many award winning restaurants, particularly in the larger towns and cities such as Burlington and Montpelier, but your guests will also find hidden gems in unexpected locations, such as the mouth-watering original Hen of the Wood in Waterbury Center, just minutes from Stowe. If your destination Vermont wedding guest list is comprised of foodies, you’re in the right place. This James Beard nominated gem is tucked in an old stone cellar of an unassuming farmhouse, with a unique atmosphere that perfectly frames the simple but elegantly prepared dishes. Their menu changes seasonally and the ingredients reflect what’s fresh that week. If your wedding is closer to Burlington, there’s no need to travel to Waterbury: Hen of the Wood opened a second location on the ground level of Hotel Vermont, an easy walk from anywhere downtown, just a few blocks from the waterfront and the famed Church Street. The design of the second restaurant reflects the original while melding perfectly with the hotel’s more modern design aesthetic, creating a relaxed, pleasing environment year round. Whether enjoying a leisurely five-course dinner with wine pairings or grabbing a crafted cocktail and a cheese plate at the bar, this is a must-visit while in Vermont. 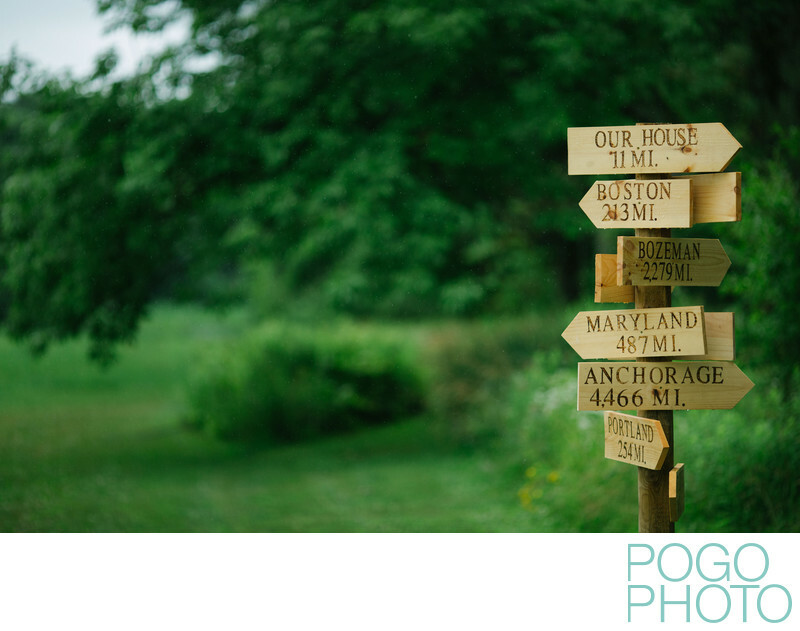 Choosing a location for your Vermont destination wedding is challenging, but only because there are so many ideal options. If you prefer a rustic feel you can choose from a bed and breakfast style inn, such as the Inn at the Round Barn Farm in Waitsfield, VT. While the number of available rooms in smaller inns may limit how many of your guests can stay on site, there are generally plenty of other hotel and inn options in nearby towns, which has the added benefit of allowing your guests to choose their preferred style of lodging. Small inns are often family-owned and operated by some of the most dedicated innkeepers in the country; the level of personal caring for you, your guests, and your event can make your wedding even more memorable. If you would rather have everyone on site for the entire celebration you can choose from a number of larger hotels, such as the classic Woodstock Inn (located in quaint Woodstock, VT in the Dartmouth College region) or the newly built Taconic Hotel (Manchester, VT), a Kimpton property located in the heart of town. Additionally, there are many ski resorts scattered throughout the state; while a ski resort might seem on the surface like an unusual choice for a summer or fall wedding, it’s actually a perfect fit. Ski hotels are well set up to cater to larger groups of guests and have become one of the most sought-after locations for a beautiful Vermont wedding. The views are unbeatable, and often resorts have access to ski lifts to carry you and your guests to the top of the mountain for unparalleled views without the exertion of an extreme hike. For a completely different feel, many Vermont brides and grooms choose to have a camp wedding, which can be a unique way to get your guests out into the unspoiled wilderness and experience a different way of life from the luxurious accommodations typically expected for a destination weekend. Vermont camp weddings allow a more relaxed atmosphere, with many locations allowing on-site camping or rustic sleeping arrangements in platform tents or log cabins. Once you’ve decided on a location for your wedding your next step is to choose and book the other vendors you need for a perfect weekend celebration. Vermont has no shortage of talented and dedicated wedding vendors; while this is true in many places, the close-knit community nurtured by the Vermont Association of Wedding Professionals gives a sense of strength and friendliness within working relationships, which is necessary to have a smooth and easygoing wedding day. Vendors within the state work extremely hard during a fairly short season, but the payoff is worth it: we love the clients who come to Vermont for their weddings, and we love working with other professionals within the industry. We trust you’ll find Vermont to be a beautiful location for a destination wedding, with year round stunning locations, delicious local food, helpful venues, and dedicated vendors. The limit to how you can make your day unique is only limited by your imagination; everything from a rustic camp wedding to a sparklingly elegant fairytale ballroom is possible. 1/1250; f/2.0; ISO 800; 135.0 mm.